Carlos Guillen has been one of the finest Tigers in recent memory. A great teammate, a perfect gentleman. They've moved Guillen all around the field, the Tigers have, both to create space for other players, and to try to protect his body. The former has worked much better than the latter. The switch-hitting Guillen isn't all that effective from the right side of the plate, but he still gives you more flexibility because of batting righty and lefty. But when the Yankees' Brett Gardner plowed into second baseman Guillen in August in an attempt to break up a game-ending double play, the resulting damage to Guillen's knee meant yet another trip to the disabled list. Guillen's Tigers season ended that night in mid-August. Another year of playing in only a fraction of the 162 games. You'd be honored to go to war with Carlos Guillen on your side, except for the fact that when you'd like to do so, he'd probably be laid up in a hospital bed somewhere. The physical limitations of the soon-to-be-35-year-old Guillen (September 30) have been painstakingly documented, literally. Guillen hasn't played in over 120 games since 2007, when he appeared in 151 contests. He missed 49 games in 2008, and exactly half the season in 2009 (81 games). In 2005 he played in just 87 games. Guillen has been a great Tiger, but he's held together with bailing wire and screws and bolts. He's not a man, he's a case study. All that's missing from Carlos is a big, red nose that lights up, electrified tweezers, and a game box. It will be among the most gut-wrenching decisions the Tigers have ever made, but it's looking to be time to consider lopping Guillen from the 40-man roster. Such a move will go down like castor oil and leave the aftertaste of limburger cheese, but how much longer can the Tigers wait for Guillen to return to health? What good is he if he's playing in 70, 80 games a year? Guillen's latest injury involves the use of microfracture surgery on his knee. It's not the most trustworthy of procedures, and the rehab time can be well over a year. Guillen played second base this season, his fifth full-time position with the Tigers, and he's only been in Detroit for seven years. 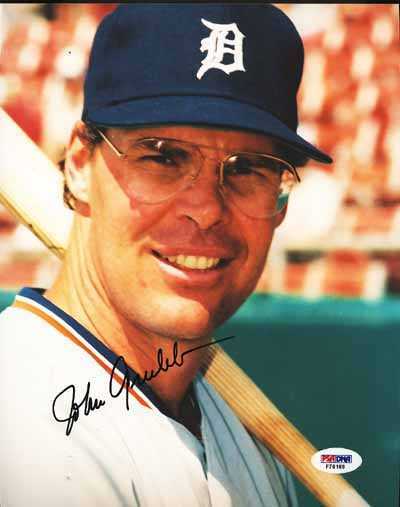 But the Tigers, if they choose to bring Guillen back in 2011, are fooling themselves if they think Guillen can be a viable option for them at second base. The Tigers ought to hide all his gloves and make him one of those designated hitters the American League says you can have. Full-time, for as long as he shall stay healthy. If not that, then it should be adios. 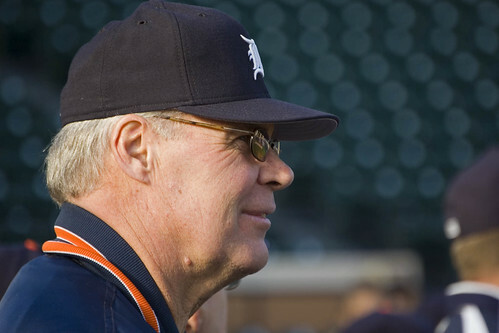 The Tigers, should they decide to part ways with Guillen, need to be careful how they handle such a cashiering. For they could look awfully callous and cold-hearted if they do it wrong. Timing is everything, they say. So the Tigers will likely---and probably should, frankly---allow him to recover from the knee injury and see how he fares. But Guillen is the elephant in the room that no one wants to talk about. Guillen is a paradox; he's versatile yet he's as fragile as a diva's ego. He's great in the clubhouse, except that he's rarely in the clubhouse. Guillen wears street clothes more than he does a baseball uniform---and that's in the summertime. I'll go eyeball-to-eyeball with you on this one: I wouldn't want to be GM Dave Dombrowski when he has to call Guillen into his office and deliver the bad news that will likely need to be delivered. "Carlos, you've been great for this organization but our future plans unfortunately don't include you." The Tigers are trying to build something great again with a mix of their kids from Toledo and the veterans who are able to stay together in one piece. If Guillen is unable to fully come around after this latest injury, then the Tigers will have to pull a Gary Sheffield on him and release him, forthwith. Carlos Guillen has been a terrific Tiger. But he can't seem to stay on the field. There's always something the matter with him. He's a great guy but you can't rely on him. If his body was as trustworthy as his word or his work ethic or his class, Guillen would be Cal Ripken, Jr. It's looking like it's time to make a decision that won't be very popular. Not at all. But it will be the right one. Jeter the Cheater? Say it Ain't So! He is, to me, the only likable Yankee---Curtis Granderson excluded. There's no profundity in hating the New York Yankees, I realize that. A rumpled sportswriter once said that rooting for the Yankees is like rooting for U.S. Steel. That quote could be updated, and you'd substitute Microsoft or Comcast for U.S. Steel. So I'm not the Lone Ranger when it comes to being anti-Yankees. But nor do I think I'm alone in my admiration of Derek Jeter. Jeter, the most classy of the Yankees. The best of them, too---Alex Rodriguez NOT excluded. Derek Jeter, the quiet leader of the best team in baseball. Jeter is today's Lou Gehrig on the Yankees. You can spot Jeter easily because he's the calm in the eye of the storm. Jeter is as smooth as silk and as lethal as a heart attack. All Jeter does every season is show up, play his 150+ games, score his 100+ runs, smack the baseball around the ballpark at a .300+ clip, and tend to his position like an Irish cop walking a beat in the Bowery. He's not there to please the media types, not there to talk of straws stirring the drink. You have to drag interesting quotes out of him like paper jammed in a copy machine. I've almost thought that Derek Jeter is too good for the Yankees---as a person and as a player. Jeter belongs on a team made up of players who you'd want your daughter to marry. I don't like the Yankees, never have, but I sure do like Derek Jeter. No one has accumulated more base hits in a Yankees uniform than Derek Sanderson Jeter, whose first and middle names are ironic because they make up the name of a hockey player who was the anti-Jeter. Jeter is 36 and he'll have 3,000 hits sometime next season. His 2010 batting average isn't as robust as normal (.262 as of today), but even Mays and Ruth and Williams were entitled to an anomaly season. Jeter might be, when all is said and done, the greatest of all the Yankees. In fact, it's damn likely. So imagine my consternation when classy Derek Jeter was caught with his hand in the cookie jar the other night. His arm, to be more accurate. Jeter, in a key divisional game against the Tampa Rays on Wednesday night, feigned being hit by a pitch, and was awarded first base. Say it ain't so, Derek! "The bat," he said after the game when asked what the baseball hit, without apology. "It's part of the game." It might be part of the game, but I never thought cheating was part of Jeter's game. Everyone does it, I know. As if that's supposed to make it right. Sign stealing. Spitballs. The hidden ball trick. Cheating, by definition, though some have called it "gamesmanship." But sign stealing, to me, is cracking codes. The spitball doesn't always work. Neither does the hidden ball trick. Besides, those are acts designed to take out your opponent, directly. What Jeter did in Tampa on Wednesday was a blatant attempt to hoodwink an umpire. And it worked. I hope Tampa manager Joe Maddon was on something when he said afterward, "I thought Derek did a great job, and I applaud it, because I wish our guys would do the same thing." As if baseball needed another reason why it should expand its use of video replay. "Jeter cheater!" the Tampa fans chanted. Derek Jeter, the classiest, best Yankee---maybe of all time---engaging in "gamesmanship." Jeter the cheater. What's next? Dudley Do-Right is going to leave the girl tied to the railroad tracks? Richie Cunningham is going to sneak a smoke behind the garage? Uncle Bill is going to start hitting the kids from "Family Affair"? "It's part of the game," Jeter said. Here's what's truly part of the game: if players like Derek Jeter are doing it, then there's no hope for baseball integrity. It was no less than Tom Seaver---"Tom Terrific"---who went to extraordinary lengths to protect his right arm, which he astutely realized was nothing more than his livelihood. Seaver, while traveling as a player, wouldn't carry any of his luggage with his right appendage. In fact, he tried mightily to do nothing with his right arm other than hurl baseballs at 90+ mph toward enemy hitters. Seaver was the prototypical power pitcher of the 1970s---strong leg kick, violent arm action. His right knee would often scrape the dirt of the mound as he delivered the baseball to home plate. Seaver got more strength from his legs than any pitcher I've ever seen. But it was his exemplary right arm that earned him his living, and so Seaver treated it as the mythical goose who laid the golden eggs. Seaver enjoyed a long, storied career. A sure-fire Hall of Famer, Seaver was. You could see it coming in the late-1960s, when he burst onto the scene, and throughout the '70s Seaver was among the top two or three pitchers in baseball. Seaver knew rightly that at any moment, it all could have come crashing down, no matter how much care he took of his right arm. The pitcher's arm wasn't cobbled together by God to withstand the whiplash-like tension that throwing baseballs incur on it. There's nothing natural about the pitcher's throwing motion. If a pitcher's arm could talk, it would need a seven-second delay. The American worker is all too familiar with layoffs and downsizing. Most of the time, the worker has no control over whether he stays or he goes. In a profession where control is everything, a pitcher ironically has none of it, either---in the truest sense. Companies and corporations lay off workers. A pitcher's arm decides such matters. How many times have we seen it? One last, violent whipping of the arm, and something goes snap, crackle, or pop and that's the last we ever see of that hurler on a big league mound. Every pitcher is one throw away from the end of his career. Not trying to be dramatic---it's the truth. In Detroit, we may have seen the last of lefty Bobby Seay and right-hander Joel Zumaya. Maybe not, but maybe. Both of them have serious arm/shoulder issues. Seay is scheduled to have surgery soon that may knock him out for all of 2011---after missing all of 2010. It could also knock him out, period. Zumaya's injury-pocked career has been frightfully documented. When last seen, Zumaya was rolling around on the grass at Target Field in Minneapolis, in tears due to a broken elbow---an elbow literally broken by throwing a pitch. Dave Dravecky's left arm just about snapped off as he delivered a pitch, leading to the arm eventually being amputated. The young phenom Stephen Strasburg's career hangs in the balance today, his golden right arm in disrepair. Strasburg, the biggest thing to hit a pitcher's mound in years, is 22 years old and will have to undergo Tommy John surgery. If all goes well, Strasburg has a shot of pitching sometime in 2012. People often ask: What did they call Tommy John surgery before Tommy John came along? Unlike Lou Gehrig's Disease, which had a medical name prior to Gehrig's diagnosis, Tommy John surgery had no name because Tommy John was the first professional athlete to undergo it. The surgery works thusly: a ligament in the medial elbow is replaced with a tendon from elsewhere in the body (often from the forearm, hamstring, knee, or foot of the patient). You can imagine how groundbreaking this was when Dr. Frank Jobe famously performed the operation on the Dodgers' John in 1974. And you can imagine how amazing it was when John returned to form and was pitching again in the big leagues in 1976. Even more astounding was that John pitched until he was 46 years old. So there's certainly hope for Strasburg, and baseball, which needs a kid of his freakish ability on an MLB roster. I can't imagine what it must be like to be a professional pitcher and feeling a "twinge" in my elbow or shoulder, or anywhere on my arm for that matter. I can see why Tom Seaver went to such great lengths to protect his golden egg-laying goose. Still, it can all end so quickly, without any warning. I don't ever begrudge the big league pitcher his large salary. You could be out of the game in your 20s, just like that.